Do I Really Need an Eye Exam? You just had a free vision screening at work. Your eyes work just fine. You don’t even need glasses! Everyone in your family has perfect vision. What’s the point of having an exam when there’s nothing wrong with your sight? If you’re one of those lucky individuals with 20/20 vision and no family history of eye health problems, we salute you. But we still hope you’ll contact us and make an appointment to have a comprehensive exam. For one very important reason: The single biggest key to avoiding future vision loss is early detection. If your workplace or college offers free vision screenings, an eye exam may seem redundant. 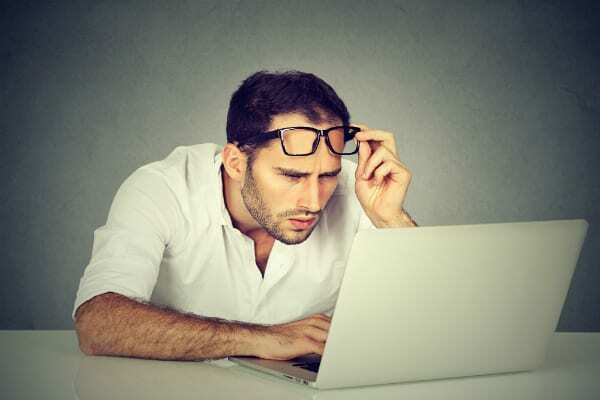 But the fact is that these two procedures serve very different purposes, and only one can help detect the onset of many serious vision problems. A vision screening is a short exam usually performed by a volunteer, not an eye specialist. These screenings are designed to detect obvious vision problems and subnormal visual acuity quickly and cheaply. Generally, they involve being asked to identify the smallest possible row of letters in a chart across the room. If you fail your vision screening, you will typically be referred to an eye specialist for more comprehensive testing and treatment. Treatment, in this case, can range from prescription eyeglasses or contact lenses to eye surgery in more serious cases. In contrast, an eye exam is performed by an optometrist or ophthalmologist and assesses the overall health of your eyes, not just your visual acuity and obvious vision problems. These exams involve checking you for signs of more serious conditions like glaucoma, cataracts, detached retinas, and macular degeneration. They can also detect the early signs of other health problems, including high blood pressure, stroke, diabetes, and even brain tumors. Most young people without vision problems don’t give much thought to the possibility of experiencing vision loss in their old age. But did you know that as many as one in three people 65 or older has a vision-reducing eye disease? If you’ve had healthy eyes all your life, you may see no need to start getting regular exams now. However, early detection is still the most reliable way to halt the progression of vision-reducing conditions, some of which cannot be reversed by medication or surgery. Likewise, the parents of young children may mistakenly think that youth immunizes their kids against potentially vision-damaging conditions, but the reality is somewhat more complicated. Around 20 percent of preschool children have vision problems, and around 24 percent of teenagers have vision problems that remain unaddressed with vision-enhancing prescriptions. Left undiagnosed and uncorrected, vision problems can hinder your performance academically and professionally and diminish overall quality of life—and that’s in the best-case scenario. In the worst case, serious problems that go undiagnosed can lead to permanent vision loss, and even blindness in some instances. While medical technology has made many incredible advances allowing us to restore partial or total vision loss in some patients, there are still serious conditions that can rob you of your sight if not caught and treated promptly, and these conditions don’t practice age discrimination. Everybody is vulnerable. Most of us choose not to gamble with our health. We see our doctor when we’re sick or in pain, we take our medication as prescribed, and if we require surgery to treat a more serious condition, most of us are prepared to go under the knife for the sake of our improved health. The attitude you take to your sight shouldn’t be any different. As the saying goes, an ounce of prevention is worth a pound of cure, and seldom is that truer than when we’re talking about one of our most critical and irreplaceable senses. The priority you place on the health of your eyes today can have a bigger influence than you realize on your sight tomorrow. You may not be able to prevent the onset of a condition like glaucoma or diabetes as you age, but you can certainly take steps to halt its progression and preserve your vision. If you’re ready to take the next step in ensuring the continued health of your eyes, contact us at Florida Eye Specialists & Cataract Institute and make an appointment. We look forward to serving you! Please note that the above article was for informational purposes only and should not be considered a substitute for professional medical care.